To all U.S and European expats in Guangzhou! Keep free the coming Sunday because you are kindly invited to our tea tasting event (Free of charge)! 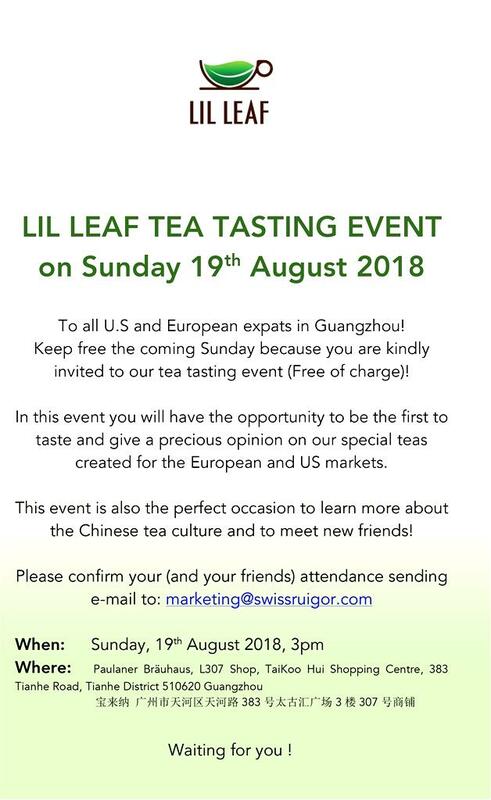 In this event you will have the opportunity to be the first to taste and give a precious opinion on our special teas created for the European and US markets. This event is also the perfect occasion to learn more about the Chinese tea culture and to meet new friends!